For the past several years, my family and I have thoroughly enjoyed the productions of Spotlight Kids Company, a Madison-based performing arts company that puts on top-notch shows that are run by kids, performed by kids, and for kids. 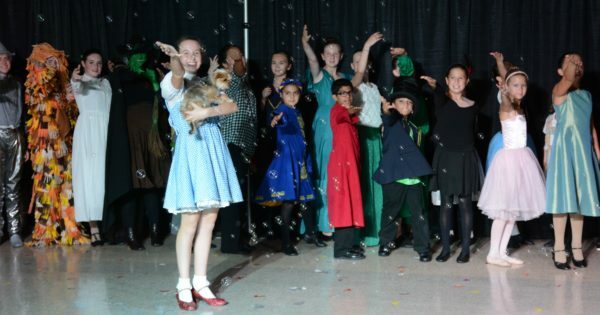 Their recent productions of The Wizard of Oz, Sound of Music, Jr. and Annie, Jr., will soon be joined by their latest show early this December, Peter Pan, Jr. (See details at the bottom of the post for dates, times, and tickets.) I must admit, I have a particular affection for this Peter Pan, Jr. show as it will be the first one that my daughter, Becca, will be a part of! She has been waiting for what feels to her like YEARS to be old enough to join the cast of SKC, and, finally, as a third grader, she can! (The MainStage shows are usually performed by kids in grades 3-9.) In two weeks, our family will be cheering on our little Lost Boy skunk, Tootles, but, in the meantime, I thought I'd let you know more about Spotlight Kids Company from its founder, recent Madison High School graduate, Kathryn McManus. What is Spotlight Kids Company? 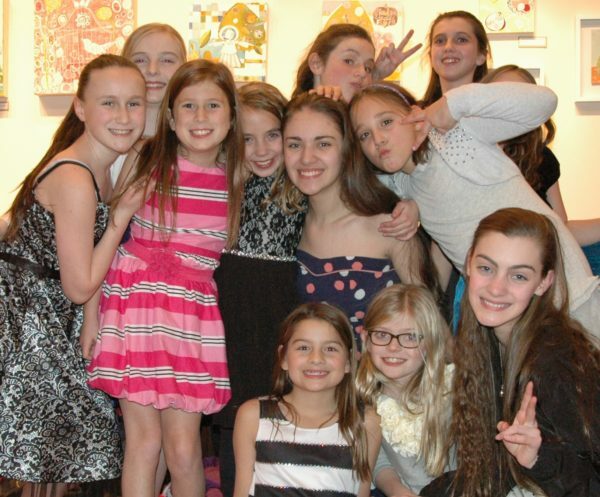 The Spotlight Kids Company is a performing arts company in Madison, NJ. Each show is run by kids, performed by kids, and for kids. We produce two full MainStage shows a year, and we are creating a platform for many more in the future! When and why did you start Spotlight Kids Company? When I was younger, I was lucky to have had many experiences in theatre that changed my life for the better. I think that every kid should experience theatre in some aspect at some point in their life because it teaches discipline, respect, and commitment from an early age. Because we have very few theatre programs for kids in Madison, I thought, what better way to bring the world of theater to my friends and the kids of Madison than do it myself? When I was an eighth grader at the Madison Junior School five years ago, I got a few friends together and we wrote a play and performed it at Grace Church. And now we're here, having fully produced 9 productions, two workshops, a summer full of classes, and taught over 200 kids. Tell me a bit about your musical and theatre background. Beginning in fourth grade, I did show after show over the summer and during the school year. I loved it! I was also lucky to do shows at The Summit Playhouse in Summit, NJ for a few years. I was also extremely involved with school music from fourth grade until my high school graduation. I did every school musical, from Annie, Jr. in seventh grade, and ending with The Little Mermaid, for which my small group earned a Papermill Playhouse Rising Star Honorable Mention. Currently, I am pursuing a degree in Theatre Arts with a concentration in Directing, at Fairleigh Dickinson University. What is your favorite thing about Spotlight Kids Company? My favorite thing about SKC is absolutely the kids. Each of them improves so much over the course of one show because they work hard and care so much. It makes me so happy when they run up to me pointing to their show shirt that they wore to school that day. After doing The Wizard of Oz this past summer, I received countless photos of the real ruby slippers from a few of their family vacations to Washington, DC. It is so touching that they're always thinking of the experiences they've had--and I think about them every minute of every day, too. They're the light of my life. Even though it can get hard sometimes, in the end, we're one big, happy family. I wouldn't have it any other way. What was your most memorable moment with SKC? There is always a memorable moment in each show, and that is the first bow of each show with the audience. Hearing the audience's cheers and applause and their reception to the show we worked so hard on is so rewarding. Seeing the kids beaming, breathing a sigh of relief, and hearing the audience's cheers is the best feeling in the whole world! Tell me about how kids can get involved in future SKC productions, and what they can expect if they are part of a show. Keep a look out on our Web site/Facebook/Instagram because we are always posting new opportunities and fun stuff. What to expect...if you ask my kids, you'll know that we don't ask what time it is! But in all seriousness, they will improve as actors, singers, and dancers immensely over the course of the show. They will learn discipline and responsibility because, ultimately, the kids are responsible for getting themselves to rehearsal, memorizing their songs, and being attentive and quiet when necessary. Overall, they become well-rounded individuals...and they're absolutely incredible! 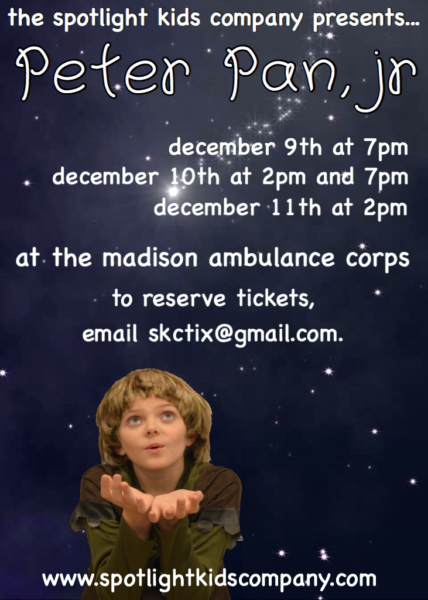 Spotlight Kids Company's upcoming production of Peter Pan, Jr. will be performed at the Madison Volunteer Ambulance Corps at 29 Prospect Street, Madison, NJ. Shows are December 9 @ 7pm; December 10 @ 2pm and 7pm; December 11 @ 2pm. Advanced reservations are strongly recommended (as the shows often sell out!). To reserve tickets, email skctix@gmail.com Adult tickets (ages 18 and over) are $10; Kid tickets (under 18) are $5.